Last season, the Los Angeles Lakers paid Kobe Bryant $23.5 million as he sat on the bench indefinitely with a torn rotator cuff. That’s just a fraction of the $500 million that injured players’ salaries cost professional sports teams last year alone. To keep more of their players in the starting lineup, NFL, MLB and NBA teams are increasingly turning to Kitman Labs. The Menlo Park-based startup is leveraging data analytics to prevent injuries, which, aside from being absurdly costly, can mean the difference between winning and losing the NBA Finals or the World Series. Kitman Labs was founded by Stephen Smith, a former Irish rugby head trainer who ran into some obstacles while conducting trials for his master’s thesis on the risk factors of athlete injury. So Smith started building an artificial intelligence layer that could apply the data he’d collected to each athlete on an individual basis. This approach worked much better: the first professional rugby team to use the platform reduced injury by over 30 percent and increased player availability by 10 percent over the course of two years, Smith says. In order to assess an athlete’s health and injury profile, Kitman Labs captures data from a variety of sources. Perhaps the most revolutionary is the startup’s 3D video-based screening tool, called Capture, that scans an athlete’s movements without the help of any wearables or sensors. Using a camera with infrared light, Capture is able to identify an athlete’s joints at the accuracy level of a biomechanical lab. While the lab takes around 30 minutes to set up and another 30 minutes to conduct a test, however, Capture can fit in a backpack and test an athlete in thirty seconds. As you stand in front of the Surface Pro tablet, the computer instructs you to jump. From that single exercise, Capture collects and crunches 16,000 data points to spit out a series of graphs demonstrating range of motion, weight distribution, balance and strength. 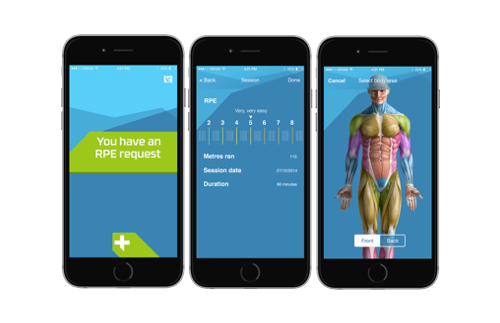 Along with the results collected by Capture, athletes are prompted to enter feedback about their perceived sleep quality, appetite, pain levels, and psychological well being into the Kitman Labs app. They can also integrate third-party data sources, including GPS trackers, heart-rate variability monitors and force plate sensors. Team doctors can enter medical test results for each player, and the coaching staff can input information about individual and team performance, and athlete schedules. Kitman’s analytics platform synthesizes all of this information and produces reports on both individual athletes and overall team health. 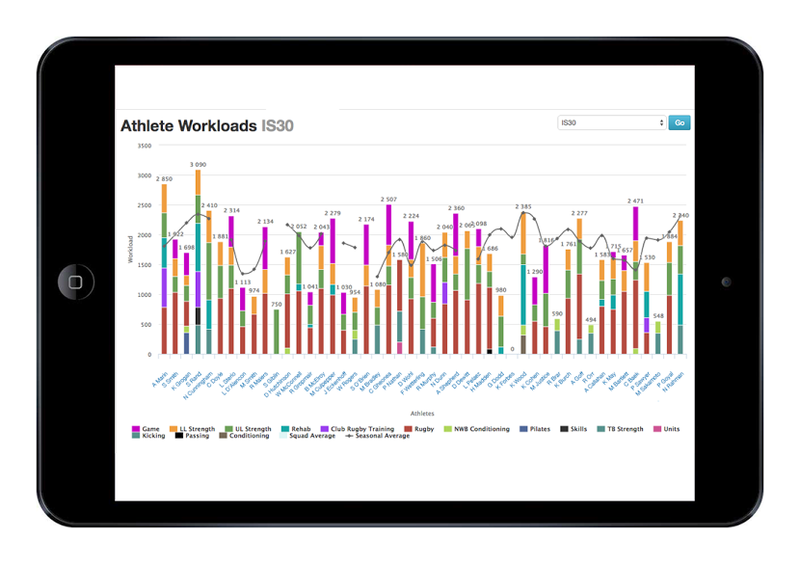 Coaches can overlay the team’s workout schedule and win/loss record to look for correlations between practice intensity, athlete health, and in-game performance. “It’s not rocket science, we’re just surfacing the relevant information for them to understand that when they do ‘X’ activity, it’s causing this type of stress report in athletes,” Smith says. For pro teams, the competitive advantages of truly understanding how athletes respond to stress are obvious. So obvious, in fact, that many of the professional teams using Kitman’s platform aren’t willing to be publicly named. Transforming the pro sports industry, however, is just the first goal in Smith’s long-term vision for Kitman Labs.